Too cute.... 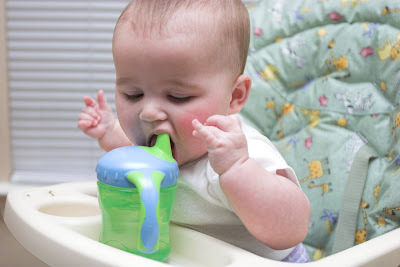 I so remember when the hands didn't work for picking up the sippy cups. How funny are they? She looks like such ahappy little camper today!! Maybe today would have been better for a hike? Tee hee. Have a great rest of the day!! We have the same cup! If Eleanor figures it out soon, I'll be WAY impressed. Jon took just about forever to figure those cups out. We had to start with the kind that you just tilt and the liquid comes out. 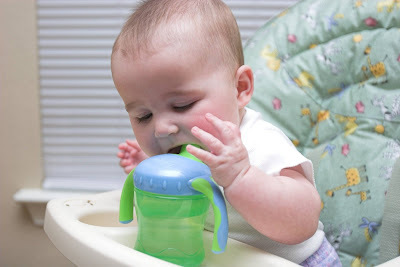 Thankfully, we've graduated to the insulated cups that he can take along with him and not spill everywhere! How cute. 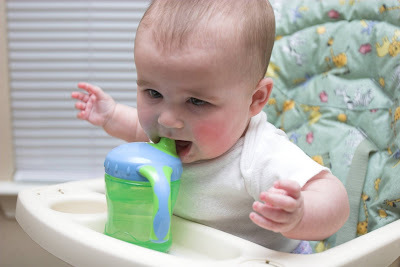 I got Grace to first hold a sippy cup by laying her down on her boppy pillow and then putting the cup in her hands and she brought it to her mouth. She will have the hang of it in now time! I laugh every time I see these pictures. She's so cute in them.